Logos are a part of our everyday life, on a t-shirt, a TV commercial and signs as you drive through town. They can be big, small, colorful, simple or bold. All have their own unique attributes, but they are everywhere. Many of them often include taglines such as "Design with Purpose. Build with Confidence.," but really what's the point of a tagline? Tag-lines take out the guesswork. No more thinking, “I wonder what they do.” Taglines let you quickly and efficiently sum up what a company is all about. It’s a company message in one simple, clear-cut statement. So when it comes to Schemmer’s tagline, it serves as our promise to you. Schemmer’s collaborative, full-service design and construction field services will give you a unified sense of purpose and confidence. 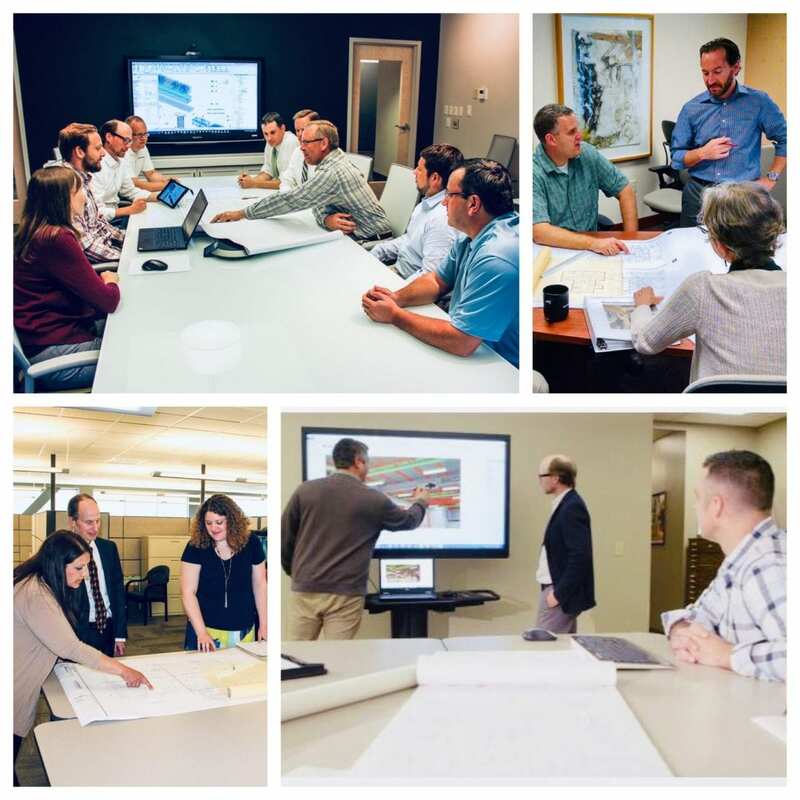 With all of the Firm’s services in-house, it makes project collaboration a breeze. Our team of professionals will make efficient, strategic and creative design decisions to put project finances in places where everyone will see and experience the value. It all begins with designing a project that meets your goals before a single shovel of dirt is turned over, and doesn’t end until what’s been put to paper is included in the final build. You will never be a number to us, no matter what size your project is. We care for our clients like family, and take great pride in our work. Schemmer celebrates its 60th year in business in 2019. Client satisfaction has been and will continue to be our number one goal and reason for our success. When you team with Schemmer, you can be confident that we'll work harder and smarter to ensure that when all is said and done, your vision has become a reality.